Tony has been a successful yacht broker for 15 years, 8 of which have been with HMY, consistently performing as a top broker. Tony has a goal of exceeding the expectations of his buyers and sellers and going the extra mile both during and after the transaction has closed. This mentality has allowed him to develop a loyal following of repeat clients and a long list of referrals. 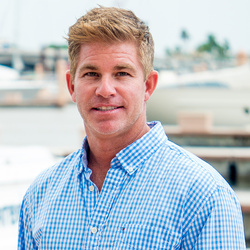 Born and raised in South Florida, Tony has been boating since he was six years old, making the transition to yacht broker a logical career choice. Fill out the form below and I will respond as soon as possible. Thank you.